Workplace violence is happening with frightening frequency. Workplace violence is an unfortunate reality. While it can come in many forms, shootings seem to be happening more often than ever. There's been plenty of discussion over why that's the case, including multimedia like movies and video games, desensitization to violent images and mental illness. The chief contributor – if there is one – is for social scientists to determine. The point is they're happening and at an alarming rate. Workplace violence was the second-most common source for fatal injuries in 2016, accounting for 17 percent of them, according to the National Safety Council. An estimated 25 percent of workplace violence incidents are never reported to authorities, according to the Occupational Safety and Health Administration. In 2018, three workplace shooting in the U.S. occurred within 24 hours of one another, killing three people and wounding 10 others combined, CNN reported. As tragic as each of these incidents is, far too many employees believe that they're not at risk. In a 2016 poll conducted by CareerBuilder, close to 95 percent of respondents said they considered their workplace a safe space. But it's safe to say that virtually everyone who has experienced a workplace shooting thought the same thing. "95% of respondents consider their workplace safe." It's reasonable to believe that workplace shootings may be preventable had the warning signs been flagged. If a co-worker threatens to hurt him or herself or threatens someone else, don't pass it off as a moment of frustration. Violence actions must be taken seriously and reported to the proper authorities. Active shooter situations should be planned for, just as offices drill for fire. Your co-workers should know where to go and who to contact when an intruder enters and is brandishing a weapon. This may include barricading the doors or locating and moving toward the nearest exits to escape quickly. Employees should also be on the same page about where to gather if they get separated. "Run, Hide and Fight are the three pillars to active shooter situations." The Department of Homeland Security says there are three fundamental pillars to counteracting active shooter incidents: Run, Hide and Fight. Above all else, follow your gut instinct and move away from the shooter as a first line of defense. But instead of running in a straight line, experts recommend moving in a zigzag pattern. This can make it more difficult for the shooter to hit an intended target. Once far removed from the shooter, find a location that's out of view or provides shielding, like a tire on a motor vehicle if you're outside. If running and hiding aren't possible, prepare yourself to fight back. The best way to do this is to recruit others, using whatever you can to stop the assault, such as books, rocks, fire extinguishers or anything else that can serve as a makeshift weapon. Also, try to be as resolute as possible. In other words, once you commit to taking a specific action to get the shooter to stop, don't vacillate. Every now and then, perhaps quarterly, come up with some example scenarios wherein someone with a deadly weapon breaks in. You may want to prepare your employees for this event but not tell them when exactly it will happen to avoid eliminating the element of surprise. The point of these exercises is to test your employees' ability to respond effectively at a moment's notice. 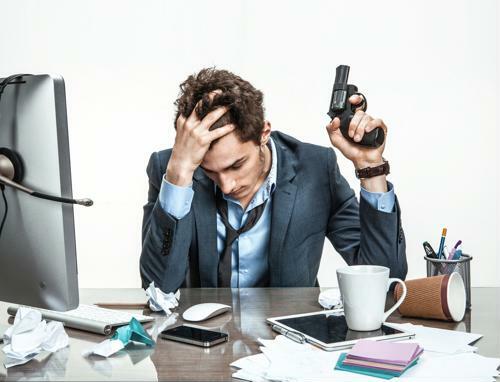 KETCHConsulting specializes in business continuity planning, which includes workplace violence. Contact us to learn more about business continuity management and doing the things that can protect your employees from harm.